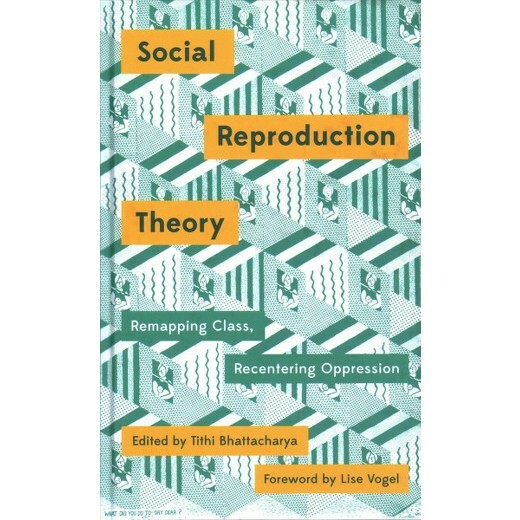 There has been some comradely, and semi-comradely, discussion on social media of the book on Social Reproduction Theory (SRT) I recently edited from Pluto Press. My fellow contributors and I are greatly looking forward to responses to the volume, for we think this discussion is an important one. Charge 1: "Marx said it all before, why are you saying this is new?" The contributors to the volume have never claimed that the way we conceive of SRT is a brand new innovation/invention in Marxist theory. Quite the opposite. SRT, in our version, repeatedly declares its commitment to the prefix "re" when it comes to Marxism—to recover, revive, rejuvenate, critical aspects of the Marxist tradition. It is not a project to "add" things to Marxism (Marxism, fortunately, is not a cauldron to which we can add new things) but an effort to theorize and explore the silences in Marx, and Capital. One central Marxist idea the volume seeks to probe is how labor power is reproduced under capitalism and what the relationship is between the social processes/relations that reproduce labour power and those that produce commodities. It is clear that one could not write a Harry Braverman-esque account of the processes of "reproduction of labour power" the way Braverman or Michael Burawoy have done about the workplace, i.e. the production of commodities. The regimes of discipline are very different. 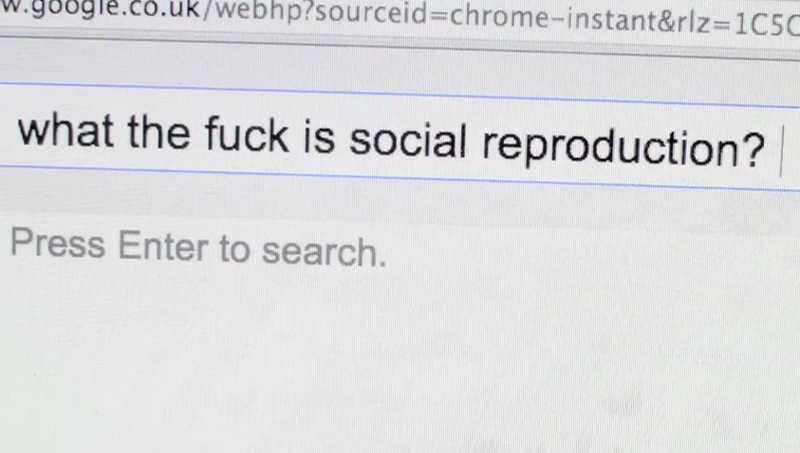 It is hard to submit the many aspects of reproduction (of labour power) to a manager's ticking clock. So what does that mean? It certainly does not mean that capital relinquishes all control over the processes of reproduction of labour power. But what does that control look like? how does it shape society and those who produce wealth for capital in society? These are the questions we grapple with in the volume. Charge 2: "SRT claims that domestic labour creates value"
We don't. And the feminists and activists we work with in this volume do not either. There has been a certain confusion about Lise Vogel's interpretation of the Marxist concept of necessary labour. In the 1983 edition of her book, Vogel, wrongly, includes domestic labour as a component of necessary labour. Susan Ferguson and David McNally's (who are both contributors to the volume I edited) excellent introduction to Vogel's book , reprinted in 2014 by Haymarket Press, draws attention to this and clarifies the error. The Haymarket edition also helpfully includes a supplemental essay by Vogel herself where she amends the mistake. I believe that this is allowed, in fact more acknowledgements of mistakes made would probably enrich the revolutionary tradition as a whole! Charge 3: "Lise Vogel derides Engels"
She is not disputing the twofold character of human life that Engels outlines in Origin, or Marx and Engels gestures towards in the German Ideology previously. What she is objecting to is that in Origin Engels fails to clarify the relationship between social production and “the production of human beings”. In the absence of a discussion as to how the two processes relate, the relative weight of each, or the possibility of determining effects of one on the other, it appears as though, writes Vogel, “the production of human beings constitutes a process that has not only an autonomous character, but a theoretical weight equal to that of the production of the means of existence” [emphasis mine] (Vogel 2013, 33). If both processes are equally weighted, as a reading of Engels might suggest, this opens the door, Vogel correctly warns, to the “dual system” theories that have plagued the socialist feminist movement for decades. (Bhattacharya, forthcoming). In most of her work Vogel emphasizes the overall soundness of Engels's "Origin" but says that if certain things were formulated better Engels would have been better fortified against later misappropriations of his theory. Charge 4: "SRT is undialectical"
This is a major criticism of our theoretical approach and must be taken seriously. But a short blog post is not a place where I can fruitfully engage with this charge. So you will have to decide for yourself! And I hope you will be fully armed with your Marx and your Bertell Ollman when you judge us. Charge 5: "It is a bunch of tenured women with feminist husbands who share the housework, wtf are they complaining about"
In other words we are not industrial or service 'workers' toiling under capitalism (in the way Karl Marx, Friedrich Engels, Vladimir Ilyich Ulyanov and other Marxist theorists were) and so we lack the authenticity to talk about capitalism or of anticapitalist futures. We plead guilty to this charge. Even though several of our contributors, far from being "tenured women" with that lovely accessory called a "husband", are openly-Marxist graduate students looking for jobs in a Trumpian world. Perhaps not the most enviable of enterprises, especially if you consider their race, gender and student loan amounts. If the "lesson" of the book could be summed up it would perhaps be how the richness of Marxism as a living theory continues to help us make sense of our neoliberal world and thereby helps us think of ways to change it. We came together to do this book because we have worked with each other not in seminars alone, but on the streets. We came together to do this book because all of us, despite how the world looks right now, share a fierce hope about its future. So we want you to use the book and its ideas not just in the classroom, but most importantly, in the streets.